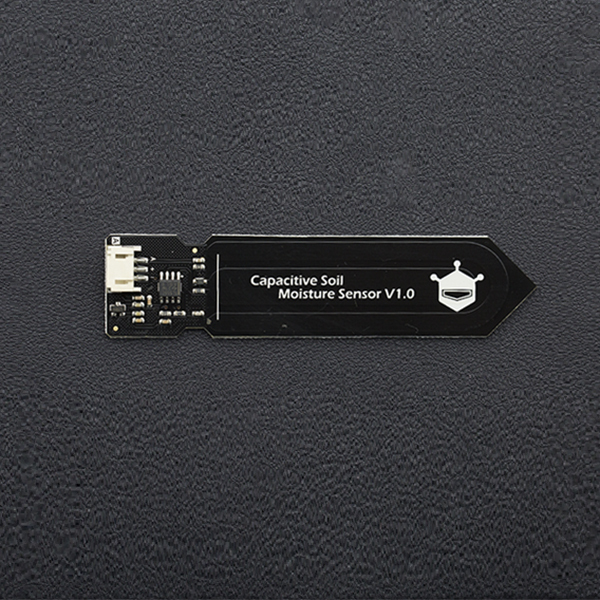 Our soil moisture sensor measures soil mositure levels by capacitive sensing rather than resistive sensing like other sensors on the market. It is made of corrosion resistant material which gives it an excellent service life. Insert it in to the soil around your plants and impress your friends with real-time soil moisture data! This module includes an on-board voltage regulator which gives it an operating voltage range of 3.3 ~ 5.5V. It is perfect for low-voltage MCUs, both 3.3V and 5V. For compatibility with a Raspberry Pi it will need an ADC converter. This soil moisture sensor is compatible with our 3-pin "Gravity" interface, which can be directly connected to the Gravity I/O expansion shield. 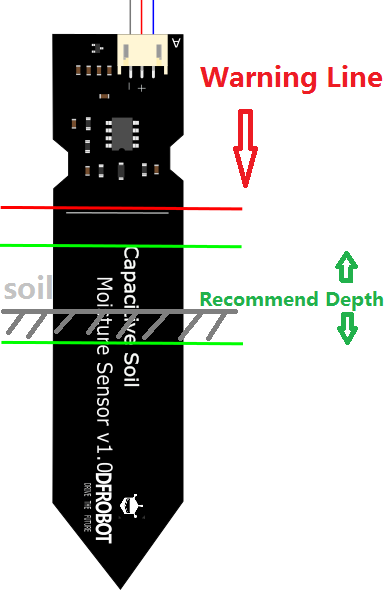 This example reads Capacitive Soil Moisture Sensor. 2.This code is tested on Arduino Uno. 3.Sensor is connect to Analog 0 port. There are no questions about this product yet. For any questions/advice/cool ideas to share with us, please visit DFRobot Forum. Get Gravity: Analog Capacitive Soil Moisture Sensor- Corrosion Resistant from DFRobot Store or DFRobot Distributor.